Estate Planning - Duerr Law, P.C. 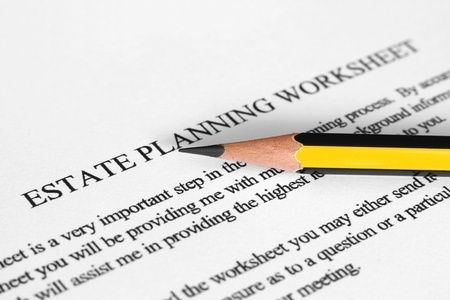 Estate Planning is a “life planning” process. Regardless of your age or the size of your estate, a properly documented and maintained estate plan is essential in making sure that your wishes and plans for passing on your legacy are in place. Depending on your circumstances, an estate plan can be as simple as putting together a will, or as complex as planning for special needs or business succession. Duerr Law can help to guide you through the estate planning process and work with you to create an estate plan that is right for you. Your estate plan is a snapshot of you, your family, your assets and the tax laws in effect at the time it was created. It is important to remember that all of these factors will change over time, and so should your plan. Over the course of your lifetime, your estate plan will need ongoing check-ups, maintenance, or even replacement. So, how do you know when it’s time to give your estate plan a check-up? Generally, any change in your personal, family, financial or health situation, or a change in the tax laws, could necessitate an update of your estate plan. At Duerr Law, we take the time to get to know our clients and their families so that we can identify and efficiently address necessary changes as they arise. Many business owners do not take the time to plan for how they will leave their business because they are too busy running the company, or they do not know where to begin. If you own a business at the time of your death, it will be included in your estate and could be subject to substantial estate taxes. This means that planning for how you will exit from your business should be an integral part of your estate and retirement planning. Regardless of whether you transfer your business to family members at discounted values, to employees, or to an outside buyer, proper succession planning can provide you with retirement income, reduce your income and estate taxes, and even let you benefit a charity. If you own a business, Duerr Law will carefully review your situation and work with you to develop a plan that best achieves your goals for today and into the future.